Are you looking for tree removal in NJ? A tree in need of removal is a danger to your home and its occupants. Whether you have a weak tree, or a tree damaged by a violent storm, there's no telling when that tree may fall, possibly hitting power lines, cars, your home, etc. Don't let this happen to you. Let Amazing Tree Services safely remove your problem tree. 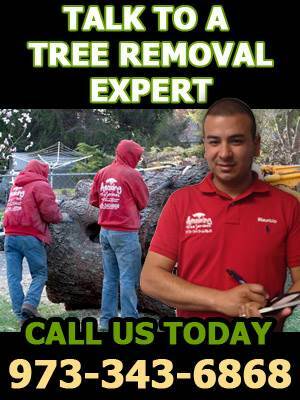 Don't wait to get your weak, old or damaged trees removed from your property. Avert the risk presented on your home, your car, and your family. Amazing Tree Services can help you with safe and affordable tree removal in NJ. For more information or for a tree removal estimate in NJ, contact us at 973-343-6868. We look forward to helping you. Check out our reviews on Angie's List! Are you in looking for a reliable tree trimming service in NJ? Let Amazing Tree Service help keep the trees on your property healthy and well maintained! Our tree care experts can help you trim unruly branches off of the trees on your property to ensure the tree's health as well as your and your family's safety. A heavy, disproportionate branch is dangerous in high winds and other storms. The chance of such a branch breaking off and hitting your home, car or other property is not worth the risk. Amazing Tree Services' professional, fully insured tree trimming service in NJ will assess other branches to ensure that the trees on your property are healthy and safe. Our tree trimming company in NJ maintains all of the equipment and machinery necessary to safely remove a large branch without causing damage to the tree itself, as well as surrounding trees. Call Amazing Tree Services today if you have a branch in danger of breaking off. A tree professional will discuss your options. 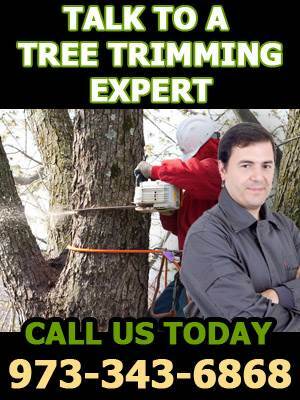 If you are interested in tree trimming services in NJ, call us at 973-343-6868. Our tree trimming company in NJ is ready to assist you with all of your tree care needs. Are you looking for tree services in NJ? Let Amazing Tree Services help you! Amazing Tree Services provides high quality Tree Services in NJ. We are a team of tree care experts that specialize in tree removal, tree trimming, tree pruning, stump grinding . We provide tree services in north NJ throughout Bergen County, Passaic County, Morris County, and Essex County. We pride ourselves with excellent customer service and high professional standard. 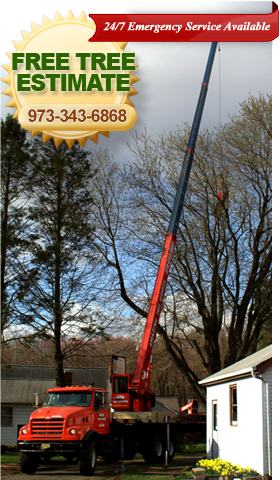 Our vehicles and equipment are up to date and maintained well to assure that when you choose our tree company in NJ, we will deliver high quality, efficient, and most importantly, safe services. We are dedicated to providing our residential and commercial clients with professional tree care services and tree removal in NJ. Our fully insured, expert crew of tree technicians is knowledgeable and skilled in a wide variety of tree care services. Our tree company in NJ will never subcontract work to other teams, and we own all of the vehicles, machinery and equipment that we use. Our team takes all precautions necessary to ensure that we maximize safety, productivity and efficiency. 100% Customer Satisfaction Guaranteed! Call today for your free tree service estimate! We are here to answer any questions you have about our tree services in NJ.